Shutters make a stunning addition to any home not only from the inside but from the outside too. They are perfect for allowing you to control the amount of light entering a room but at the same time affording a high level of privacy and security. Choose from a range of louvre widths, wood types and colours. There are also style options to consider, full height, tier on tier or café style to create the look you want. 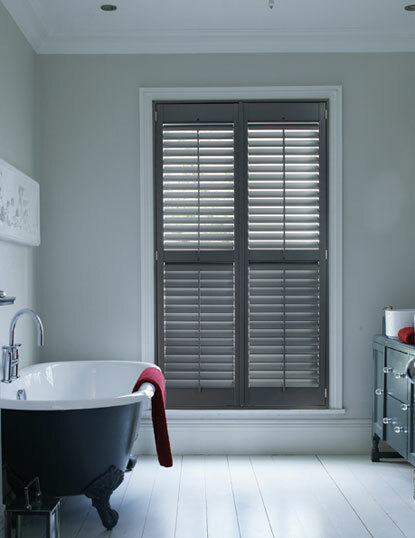 If you are trying to dress an awkward shaped window shutters make a great option as every one is made to measure. 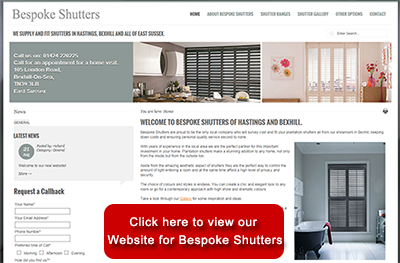 Don’t forget all home surveys are free, so if you’ve ever wondered whether shutters would be a good choice for you, call our showroom to find out more about our range or to book an appointment.